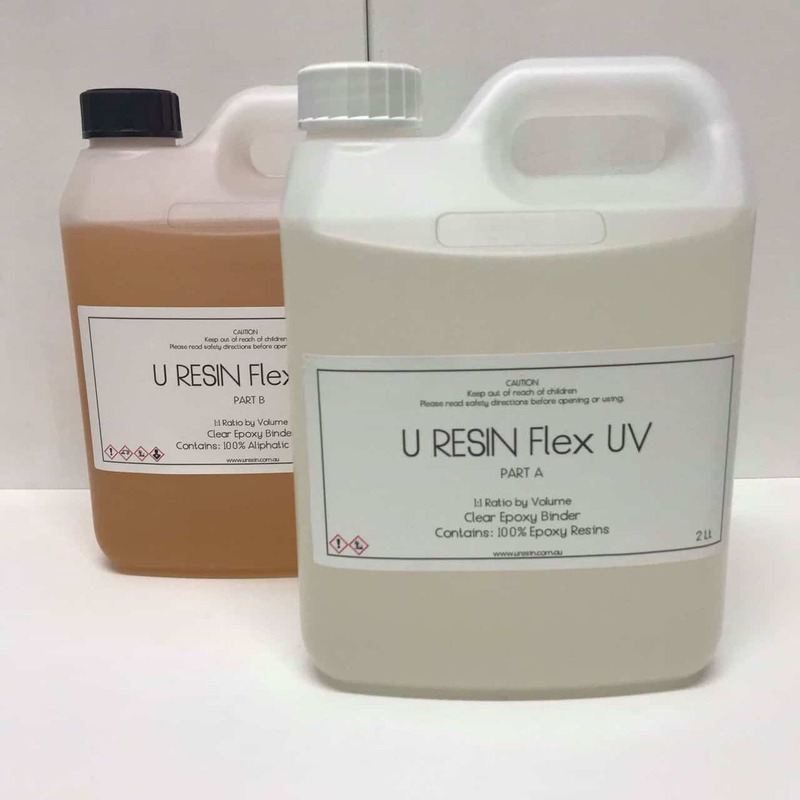 U RESIN Flex UV, is made to order and takes 3 days to manufacture. Please note this when ordering. 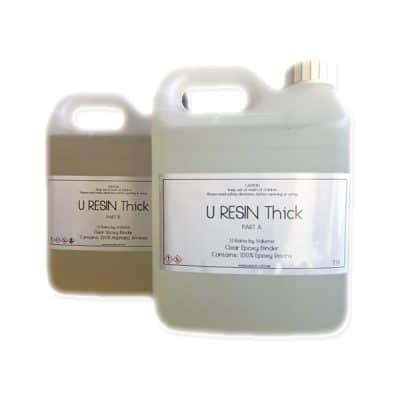 U RESIN Flex UV is a 2-part Epoxy Resin system. All our Epoxy Resin kits come including both Part A and Part B. (Individual parts NOT sold separately) U RESIN Flex UV is an easy 1:1 ratio by volume. 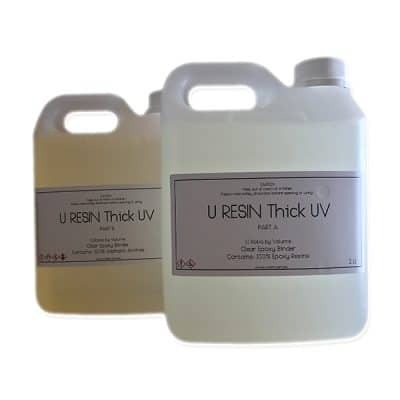 U RESIN Flex UV has a low viscosity. It has good movement and flow when poured and allows for good blending of colours. It has very few bubbles and will disperse when poured or with any heat. With a long working time of 45-60 minutes and easy to use ratio, this commonly used as a gloss coat over canvases or final clear coat, or for wearable art pieces (i.e. Costumes). It is a soft and flexible resin once cured, and was formerly known and used as a decoupage system. 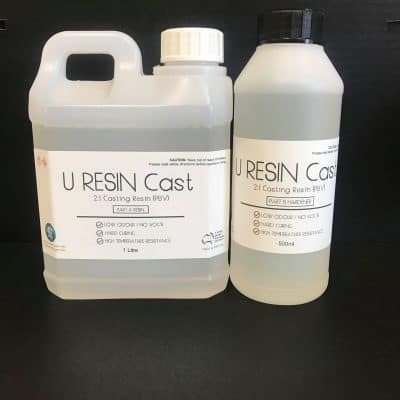 U RESIN Flex UV is a self-levelling resin system that has been designed purely for flat surface coating and provides a beautiful glass-like finish when mixed, poured and cured. 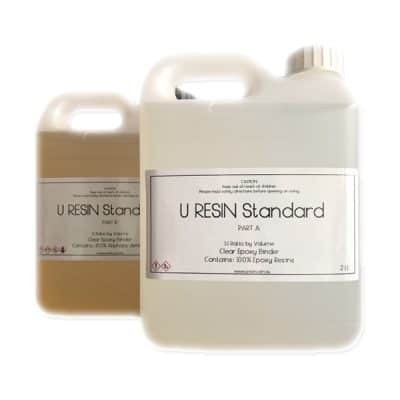 U RESIN Flex can withstand up to 50 degrees (Celsius) in temperature, once cured and post cured (7-10 days). Container quantities larger than 4 Litres available upon request. (M) SDS also available on request. Please email: info@uresin.com.au for a copy.